LEGO exhibitions and hire for museums. Museum Bricks is a specialist resource for museums wanting to incorporate the magic of LEGO bricks in to their exhibitions, event spaces and visitor activities. Our full website is coming soon; we're already helping museums integrate LEGO's fun and creativity in to their experiences, though, so why not get in touch? Nothing quite excites the imaginations of museum visitors of all ages like LEGO bricks can! LEGO exhibitions can bring your exhibits and collections to life. 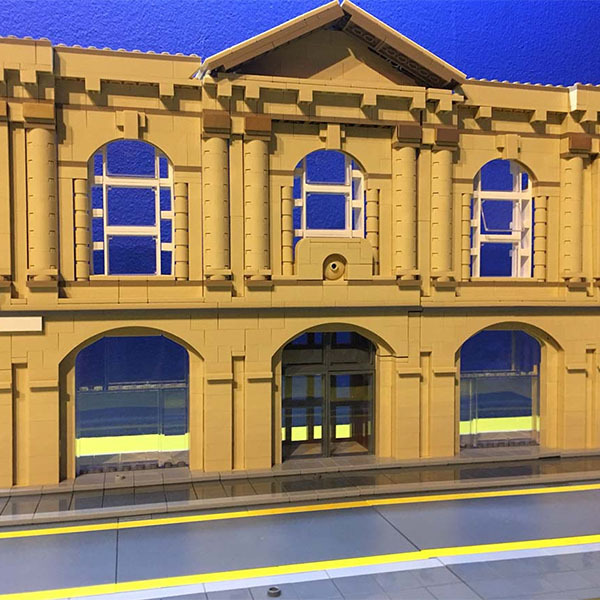 Museum Bricks can advise on content and suitable themes for your LEGO exhibition, building custom LEGO models that are sure to draw in the crowds! Expand your visitor experience further with our play pits and LEGO play boxes. Our LEGO play boxes are tailored to your museum and contain thousands of LEGO elements designed to stimulate play and thought in your museum. Our LEGO play pits can be purchased outright or hired for set periods, allowing younger visitors the chance to dive in and build. These are great for prolonging visitor dwell times in quieter areas of your museum and can add another positive engagement with visiting families. Museum Bricks © Bricks McGee. LEGO® is a trademark of the LEGO Group. Museum Bricks is not owned nor operated by the LEGO Group.